WHAT IS A SOUVENIER TUMBLER? 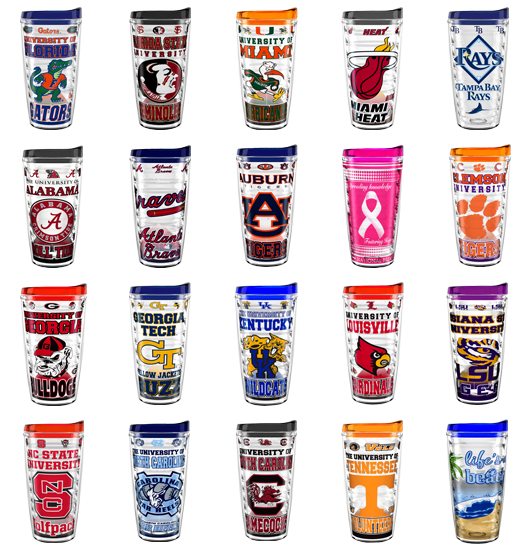 These Custom Tumblers come with your Custom Logo, theme, class moto etc. and will make lifetime keepsakes to remember that special event. A useful souvenir that will not sit on the shelf like a yearbook might and is a lot more fun than key chains or T-shirts. 2 color design with matching color lid. Minimum order is just 96. 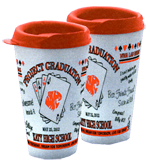 Raise the Money You Need for your Special Event and send everyone home with a LIFETIME MEMORY! Call Today and get the process started. Fun, Easy to Sell and Everyone has to have one! NOTE: Please check our our NEW Tumbler Dedicated Website at www.thetumblerguys.com! Please call if you do not see the school you are looking for.